You Help Serve 40,000 People Each Year! Thank you!!!! 2014 brought so much success, all because of you. 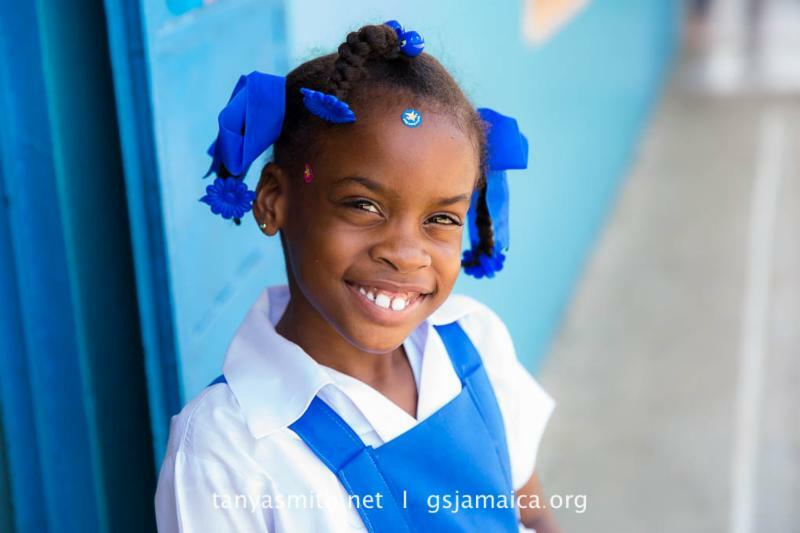 Your gifts of time, talent, and treasure created real joy and life-changing impact to thousands of Jamaicans & volunteers. Take a gander at just a few of the savvy solutions volunteers implemented to support Great Shape! Inc.
Burgers and Brew: Dr. Ayaz Jafri and the Mid Michigan Dental Center PC hosted a fundraiser at a local burger joint in Owosso, MI. They raised more than $4,000 for dental equipment and supplies. East Coast Dinner Party: This summer Dr. Christine Lathuras and the East Coast posse broke bread together & raised $2,000+ for projects. Clean Teeth & Crayons: Mike Mahoney is a 5th grade teacher and brother-in-law of longtime volunteer Chris Stevens, RN,. His students at Lafayette City Schools in New York donated over 2,000 toothbrushes, toothpaste & school supplies! Pick Up The Phone: Tracy Mason is the schedule coordinator for a dental practice in Casa Grande, AZ – and the mama of our intern, Jamee. She simply asked & her connections couldn’t say “no”: 20 basketballs from the Phoenix Suns, $1,050 in cash, and $300 in school supplies. 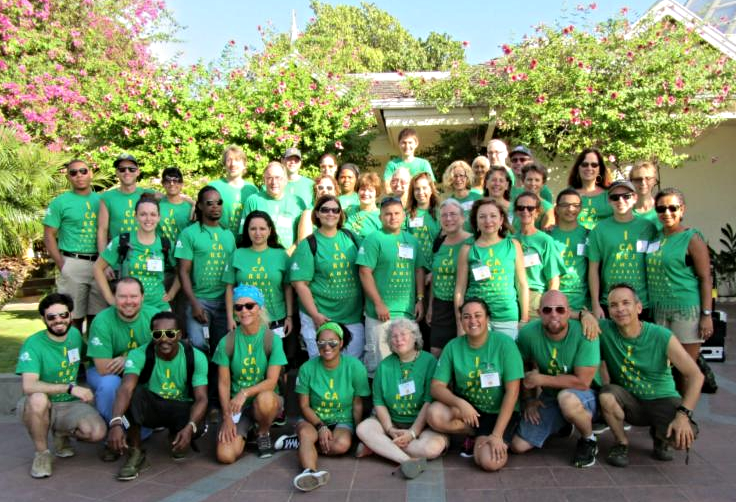 These volunteer-led fundraisers highlight only some of the amazing events held to benefit GS!I projects in Jamaica. Check out more of your FUN-raising activities below! What does community service mean to you? For 23 inspiring students at The Phoenix School in Salem, Massachusetts, community service meant donating $50 to a “worthy cause,” our cause. The students heard about our Great Shape! Inc. 1000 Smiles project at a Rotary Meeting and decided to take action. In December we challenged you to take action to show the students of The Phoenix School how powerful their single act of generosity was by adding your own donation to Great Shape!, and you rose to our challenge! Together we raised over $1,300 for the children and families of Jamaica! in the coming year through dental care, education, and eye care! … thanks to 23 students who recognized the need to help others, realized their own ability to be change-makers, and in doing so inspired an entire community to give. Thank you to Isabelle and your classmates at The Phoenix School. You are truly inspirational! Philanthropy is big on Great Shape!’s list… and so is FUN! Every year Great Shape! hosts a number of FUN-raising events. Check it out! Annual Ashland FunRaiser: 26 Years of Service! We are Great Shape! Inc. and we are family (watch the video)! Thank you so much to all who attended our Ashland FunRaiser! 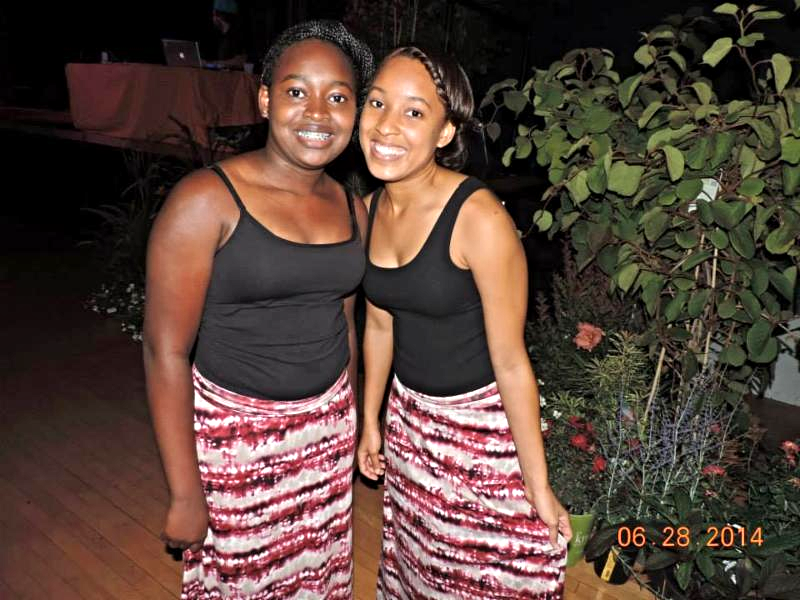 Together we raised nearly $18,000 to support Jamaican families. More than 200 people packed the house! 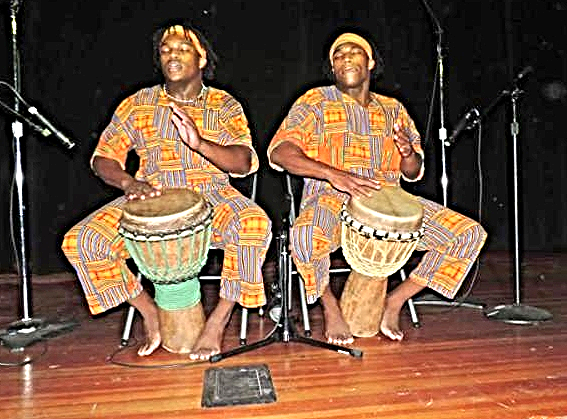 We “nyamed” on Caribbean fare, bid on amazing trips and art, and danced… all in celebration of a year’s worth of humanitarian projects, hundreds of volunteers, and thousands served in Jamaica. Thanks to your love and support, we’ve been service in action since 1988… 26 years of sustainable projects! This year we celebrated 12 years on the 1000 Smiles project, 7 years with the SuperKids project, and 6 years of iCARE. #BAH in Spokane earned crowns and raised thousands for Great Shape! Inc. on the 7th Annual Monroe St. Pub Crawl. 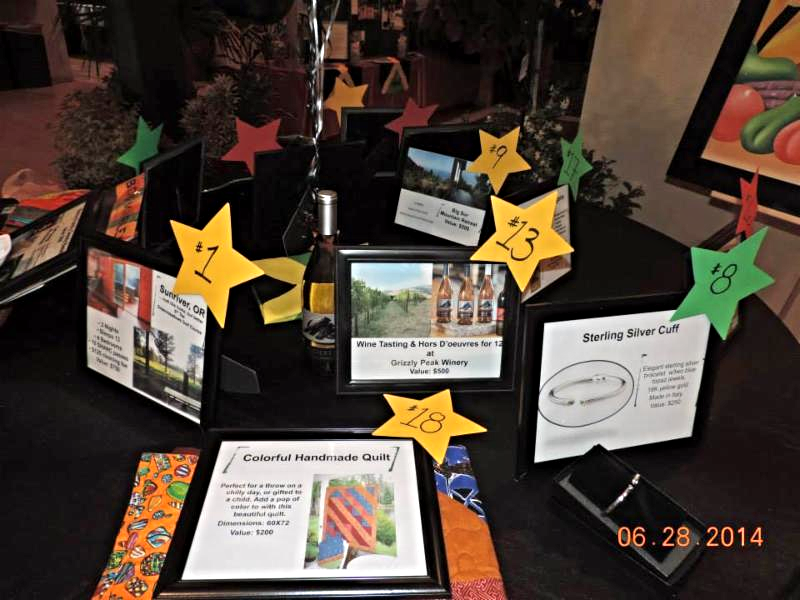 Sponsored by Let It Shine Media and APE Bookkeeping, more than 100 Pub Crawlers trekked up hill through 10 taverns to raise $3,000 for Jamaican families. That generosity directly impacts 300 lives. Part of the money traveled to Jamaica with the Teach the Teachers project on which volunteers from the U.S. and Canada provided computer training for Jamaican teachers in our GS!I computer labs. Few highlights: Charley’s “Toilet Seat Basketball”, Stella’s hosted glitter tattoos, PJ’s Pub and The Moezy Tavern rocked karaoke and all kinds of amazing customer service! Thank you to our crawlers, sponsors, and partners! We’re excited to see you crawlin’ next year! Thank You to Our Ambassadors… YOU! You bring your open heart, open mind & passion to serve. Thank you for showing up with your best self! Your hard work, generous contributions and continued support of Great Shape! Inc., serves thousands of Jamaicans year after year! We’d like to take this opportunity to thank some amazing individual donors who contributed over $1,000 each in cash or in kind. We are possible because of our rockstar partners! and amazing staff support for all three of our projects! 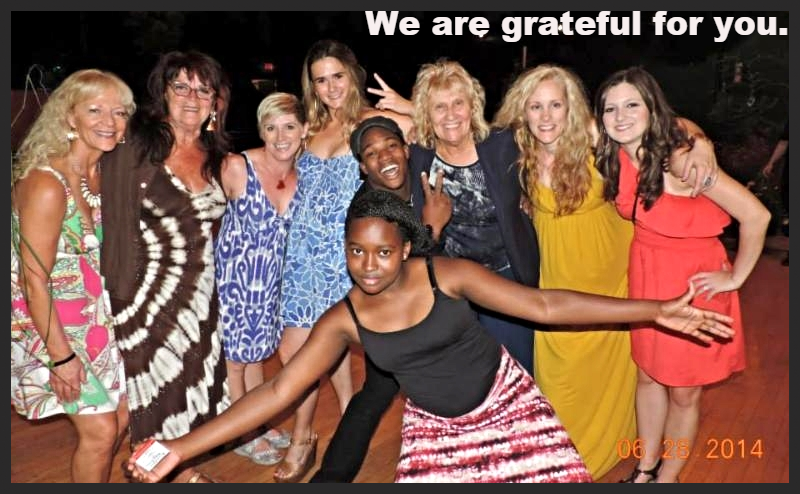 Heidi Clarke, Tricia Vickers, and the entire Steward Family! Inland Retech: countless computer parts, printers, toner, mice, keyboards, hard drives, and more! Great Shape! Inc. is so grateful for your generosity, your time, your talents, and financial gifts. 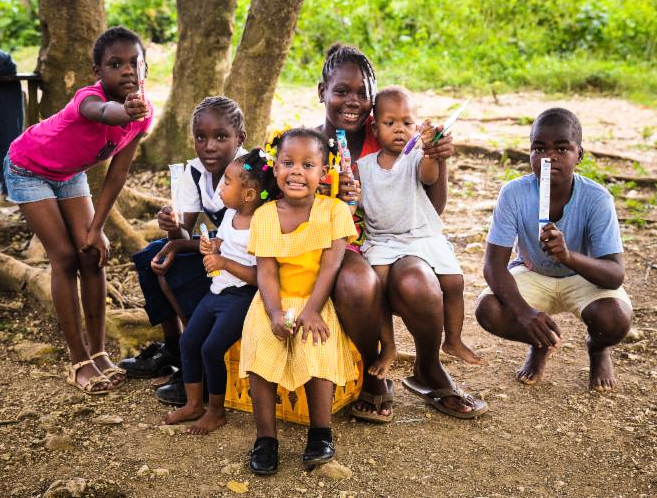 90% of every dollar goes straight to our humanitarian projects in Jamaica. dental equipment, etc: email our office. Group Pic of the #SpoPubCrawl!